Do YOU know the purpose of the MSOnlineExtended module? If so, please leave a comment! 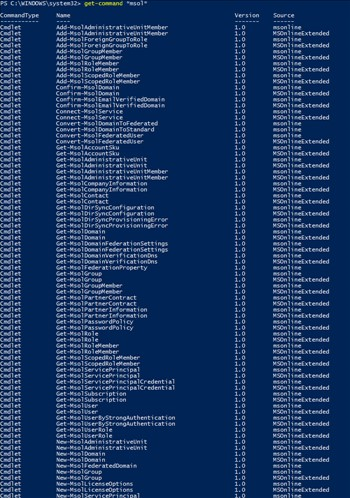 This reveals that the MSOnline module has a few more cmdlets and that the syntax for the others is exactly the same. If there are any differences, they are architectural.